The Cartoon Network Amazone Waterpark in Pattaya is the first of its kind in the world. 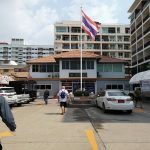 The cartoon theme park opened in October of 2014 and has proven to be very popular with visitors, both Thai families and tourists on holiday in Pattaya, Jomtien, and the surrounding area. 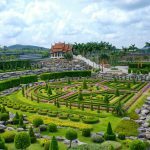 It’s also close enough for a day trip near Bangkok. 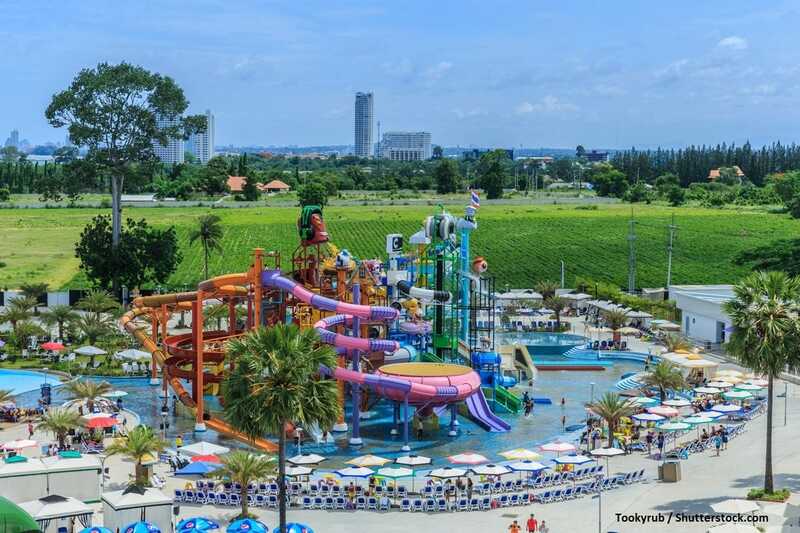 It is by far the best and largest waterpark in Thailand. You will find everything from a huge wave pool, to rafting, waterslide, and some pretty unbelievable (and a little scary) thrill rides. There are rides suitable for children both young and those young at heart. The park consists of ten plus entertainment zones on 14 acres of land, featuring both rides and your favorite cartoon characters from TV. You can have your picture taken with the likes of Ben 10, Jonnny Bravo, The Powerpuff Girls and Finn and Jake. The characters roam the park all day. There is even a Ben 10 section of the waterpark with rides created from characters from the Cartoon Network series. When you get hungry the park has a big food court serving a variety of dishes to appeal to a wide range of tastes. The big draw to the Cartoon Network waterpark in Pattaya has to be the rides. 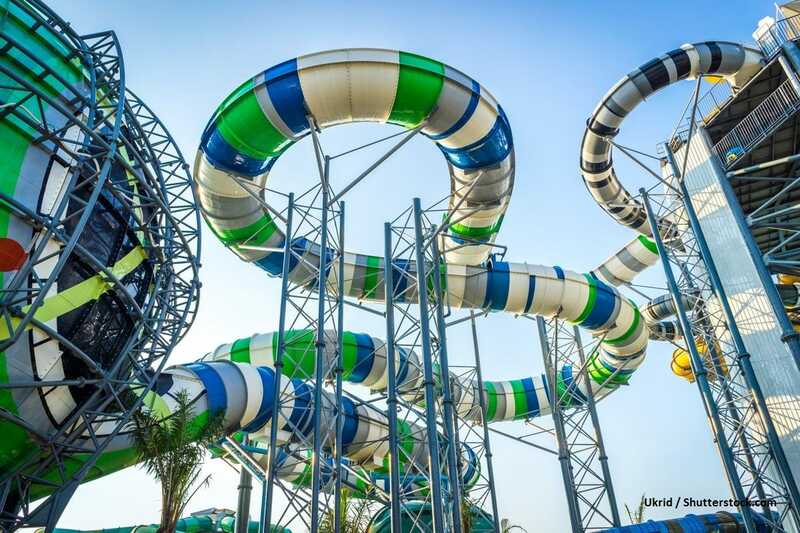 They have something to please everyone, from a relaxing drift down a lazy river to thrilling excitement of a near vertical drop of the Goop Loop. There are over 12 main rides and many more if you count all the different slides at Cartoonival. Amazone rates all their rides Thrill, Fun, and Kids so you know what you are in for. Alien Attack (Level: Thrill): A Ben 10 themed ride where two riders make their way down a waterslide on a small raft for 1050 feet. It’s a fast moving ride with drops and curves to add to the excitement. 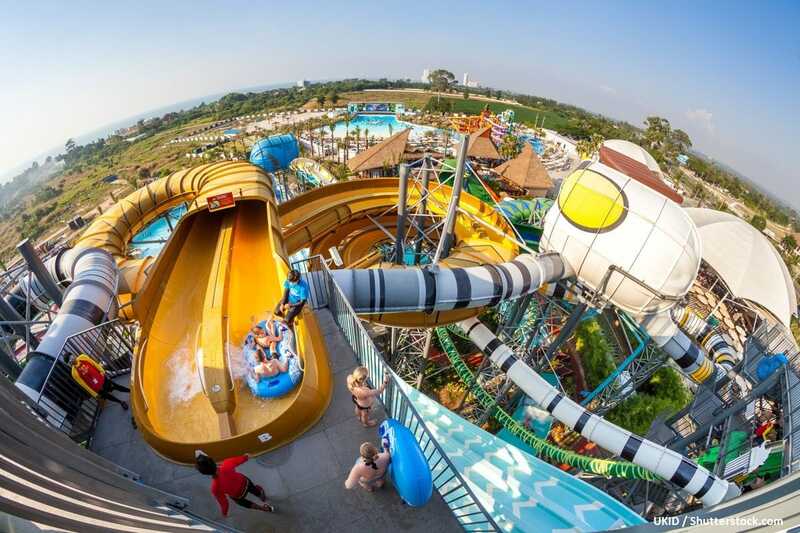 Banana Spin (Level: Fun): This Johnny Bravo themed ride puts two riders in a raft and drops them down a tube before entering the spin bowl where you are eventually swooshed down another set of tubes and into a pool. Cartoonival (Level: Kids): A family water park with 9 different slides. For ages three and up but enjoyable for all age groups. Goop Loop (Level: Thrill): This is definitely a ride for the thrill seekers. You set into an enclosed capsule where the floor beneath your feet suddenly drops open, sending you on a near vertical decent before you enter a 360 degree turn. Humungaslide (Level: Thrill): Two riders, one raft, 8 crazy turns, and a vertical drop over 51 degrees. Oh and it’s a race against the guys in the other lane. Hold on tight. Intergalactic Racers (Level: Thrill): Ever heard of an Alpine Slide? Well it’s like that on water. In this case you and your friends or family get on a mat face first and plummet down a small lane at high speed while going through hair-raising turns and stomach dropping jumps. And once again, it’s a race. Jake Jump (Level: Fun): Compared to the others this one is a walk in the (water)park. This Adventure Time theme ride has you shooting up the face of Jake the dog before splashing into the pool below. Mega Wave (Level: Kids): This is Cartoon Networks huge wave pool. Grab an Amazone inner tube and float around as the gentle waves lift you up and down. It also the home to a nice white sand beach and cabanas so you can soak up some rays or get some rest in the shade. Rainfall Rainicorn (Level: Fun): Another Adventure Time theme tube ride that will get you moving, before you splash into the pool. Riptide Rapids (Level: Kids): Grab a inner tube for this relaxing drift down the lazy river. You’ve earned it by now. Surf Arena (Level: Kids): Give surfing a try in the Amazone surfing wave pool. The Omnitrix (Level: Thrill): This ride looks intimidating. The Omnitrix is a large spiral tube ride that drops you into a giant sphere where you spin around amidst images of the Ben 10 universe playing on the walls of the dome. XLR8-TOR (Level: Thrill): Not for the faint of heart. 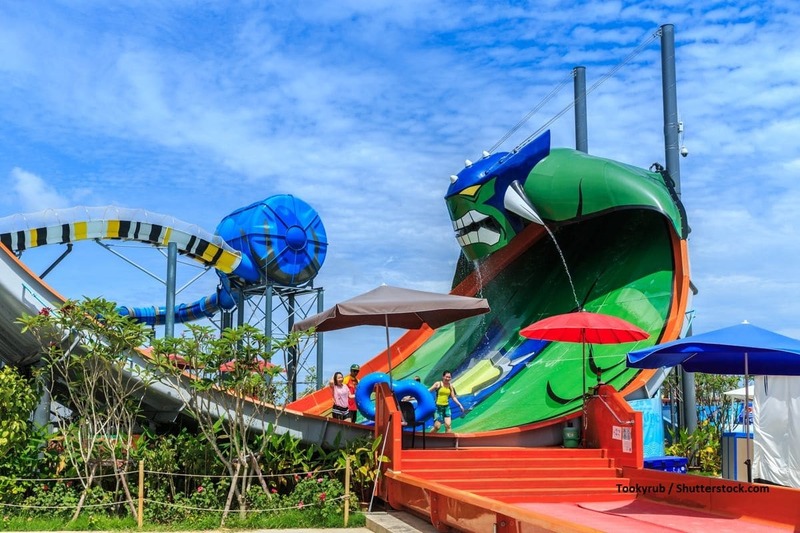 This Ben 10 themed ride is the jewel in the crown of waterslides at Cartoon Network Amazone. Listed as one of the tallest and steepest rides in Asia, the XLR8 will send you into a vertical drop reaching speeds over 300 mph. They are more than happy to take a picture with you and bring a smile to a child’s face. There are several different shows put on at the park. The K-Pop Boys and The K-Pop Girls put on dance shows set to the latest in K-Pop tunes (Korean Pop music). In addition, you’ll be able to see performances from some of your favorite cartoons including Gumball & Darwin, Powerpuff Girls, Johnny Bravo, and Adventure Time Live. When you get hungry all you need to do is head on over to Foodville and eat at one of the 7 restaurants. Well more of a food court really. But each area has their own specialty. Mordecai’s Grill – BBQ chicken, beef, and pork. There is also an ice-cream parlor and coffee shop on site you want something sweet and cool on a hot summers day. The Cartoon Network Amazone Waterpark is a great place to spend the day while visiting Pattaya, Jomtien, or even Bangkok. 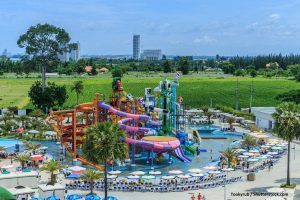 While the park is a wonderful place for a family outing, it’s also a great place for those who want to embrace the kid in all of us and have some fun times getting wet and enjoying a wild ride. 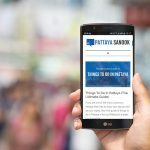 Looking for other things to do in Pattaya? See our complete list.